Hi, friends! 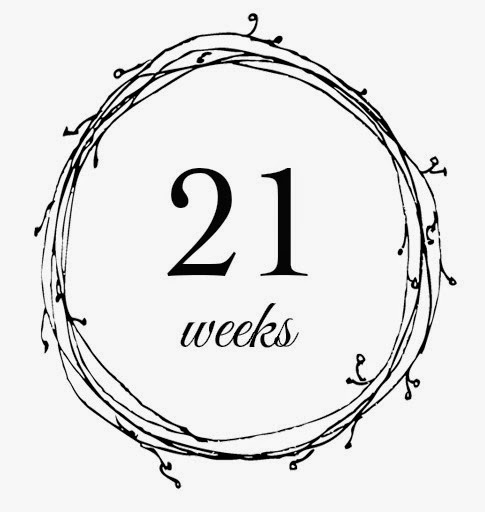 I just crossed over the halfway mark and the other day my husband looked at me and said, “do you realize you have more days behind you than ahead of you in this pregnancy?” I can say I feel as though I’ve been pregnant for both a million years and ten minutes, though that’s how all of life’s greatest joys tend to be. I decided I’d like to do this little questionnaire and take photos (in the same dress) once every season. Though there are already fallen leaves on our walking path, this will be my Summer post! Maternity clothes: I don’t technically need them yet, but I have snuck a few maternity jeans into the wardrobe as my skinny jeans are becoming less and less friendly. Being in my late second and third trimester in the winter months will certainly be a styling challenge. Currently Missing: My full appetite-especially sweets. I’ve been living off of the same meals for months now due to a very limited appetite. Sweets have been complete turn off, but my eyes want a doughnut and s’mores! Movement: All. day. long. I feel like I have a little secret buddy with me all the time, dancing up a storm in there. Last week my husband was able to feel the baby kicking and moving for the first time and that has been so special. We spend great parts of the day singing and talking to this belly, waiting for them to kick his hand. Cravings: None currently. Well, I mentally crave s’mores 24/7 but my stomach wants nothing to do with them. Symptoms: Round ligament pain. If I weren’t pregnant I would swear I’ve pulled every muscle that exists between my shoulders and hips. Phew. Looking forward to: Two of my sisters sneaking in a visit before the baby shower in a couple months! Exercise: Prenatal yoga once a week, walking nearly every day and doing the Tracey Anderson Pregnancy Project DVD two or three times a week. Favorite moments this week: Getting everything in place to start our mini kitchen renovation and buying the crib and changing table! The more together the house feels, the calmer I am about bringing this angel into it. Next time you see this dress, these trees will be bright red. Autumn, I’m ready for you! Looking forward to EVERY bit of it! It's crazy…we are looking forward to the SAME THING!